Square Display Towers are 24” square and 72” high (78” high with optional crown). Glass display area is 60” high with sliding glass doors. The base is 8” high with a 4” high black kick base. 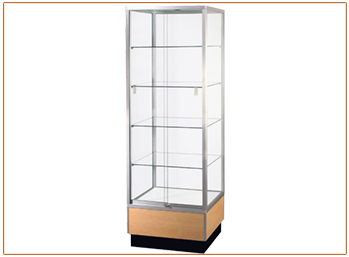 Display Towers come complete with 4 adjustable full depth glass shelves.